The new Klim Elite glove is a step up from the Klim Summit and is a hard-core, GORE-TEX snowmobile glove with a full gauntlet. Using the latest and greatest in technology, this powermonger is for aggressive snowmobiling. GORE-TEX X-Trafit grip technology keeps this glove windproof and waterproof while still allowing sweat to release through the membrane. The bonding technology prevents the liner from ever backing out and the micro-fleece lining throughout make it very warm and comfortable. Moving on to the exterior, you will find all cowhide leather construction with Pittards Armortan (a ceramic coating) on the palm. The back of the hand has 100 grams of thinsulate to keep your hands warm. External stitching makes the glove even more tactile and reflective accents ensure visibility at night. The wrist closure includes a Velcro gauntlet and cinch strap. 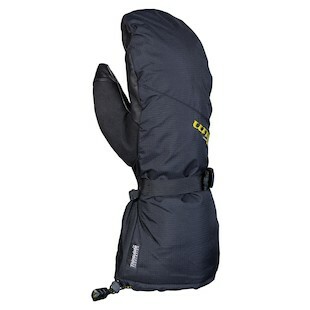 The Klim Caribou and Allure are ultra-warm mittens with heavy insulation and GORE-TEX waterproofing. 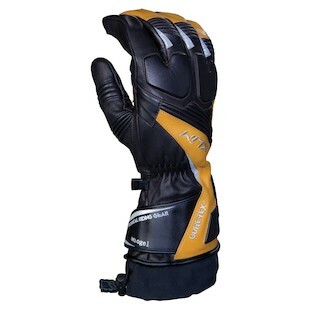 Both gloves use thinsulate on the back and palms of the hands -- 550g for the mens and 600g for the ladies. 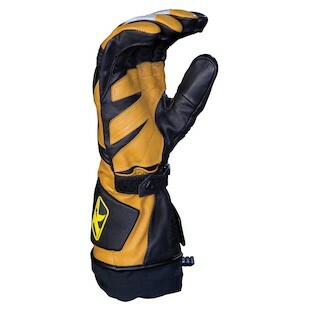 These are a great second set of gloves for carrying while snowmobiling. They have a visor wiper along with a snot patch, so you can wipe your nose and not chafe your face. Who thinks up these things? The outer shell has a durable scotch-guard water repellent coating so water will bead up and roll off rather than quickly soaking in. 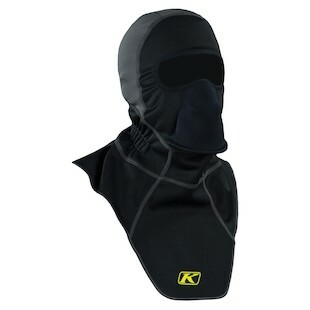 The Klim Arctic Balaclava is the coldest-rated balaclava with GORE wind-stopper and a micro-fleece liner throughout. The top of the head is made of a thinner sweat-wicking material that allows your head to breathe under your helmet. The heavy fleece wind-stopper is used throughout the construction of the main body, while the compact fleece wind-stopper is used at the eye-ports. The Arctic is the only balaclava that uses a built-in breath box with a full neoprene nose piece / breath deflector to eliminate additional moisture in the helmet.